Beloved and I ate at Ramen X at Trinoma yesterday. If you don’t know what this place serves, then shame on you. This Japanese resto is basically the poor man’s version of Ramen Bar. Beloved, who got to eat here before, claims that this is the ramen equivalent of Moshi Moshi. This place replaced, thankfully, Crustasia in the aforementioned mall. Inside links aside, because I had some errands to run at said mall, we decided to take the opportunity to try it out as well. Obviously, the place specializes in ramen. However, other than ramen, they also serve donburi. The donburi’s pretty affordable, as with their ramen, costing around a hundred per bowl, and all of them comes with unlimited rice. Of course, we didn’t go here for the donburi—we went here for the ramen. 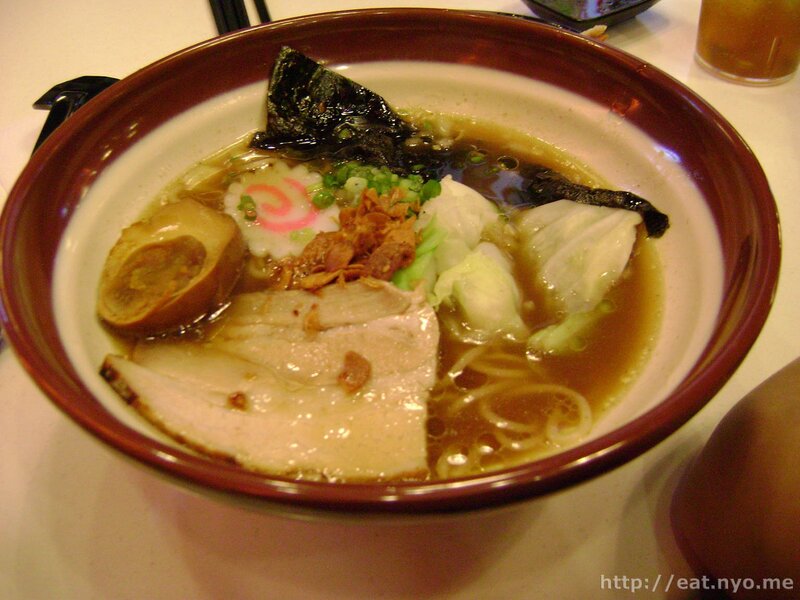 So we ordered a couple of bowls: Yoshi’s Ramen (159 Php) for me and Shio Ramen (99 Php) for Beloved. We also got their Ebi Tempura (99 Php) as a side. Although the tempura arrived first, I thought my Yoshi’s Ramen would make a better cover picture. This is a very generous bowl of chewy noodles topped with veggies, greens, nori, narutomaki, soy egg, and pork. They also gave me a couple of slices of pork belly. The pork belly’s fat was the best part of the dish, which was creamy and had the melt-in-your-mouth texture. The soup’s pretty nice too—just hte right amount of salty and sweet. The pork itself, however, wasn’t as tender as I’ve been spoiled to. 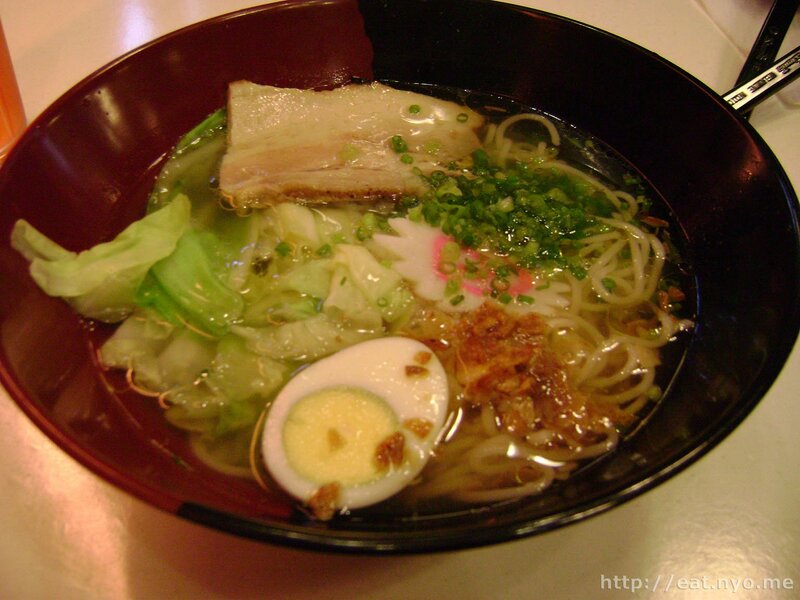 However, I’ll admit that it is one of the best value 150 Php pork ramen bowls I’ve had. Beloved’s Shio Ramen is essentially similar to mine, except the soup base is a salt one, so it didn’t have that mild sweetness to it. The egg here is also a plain one and not a soy marinated one. In addition, hers didn’t have the delicious pork belly, and all she had was the strip of not-so-tender but still pretty good pork. Differences aside, the chewy noodles is still plentiful and quantity is similar to my bowl, which is certainly a lot for the price I’m used to. 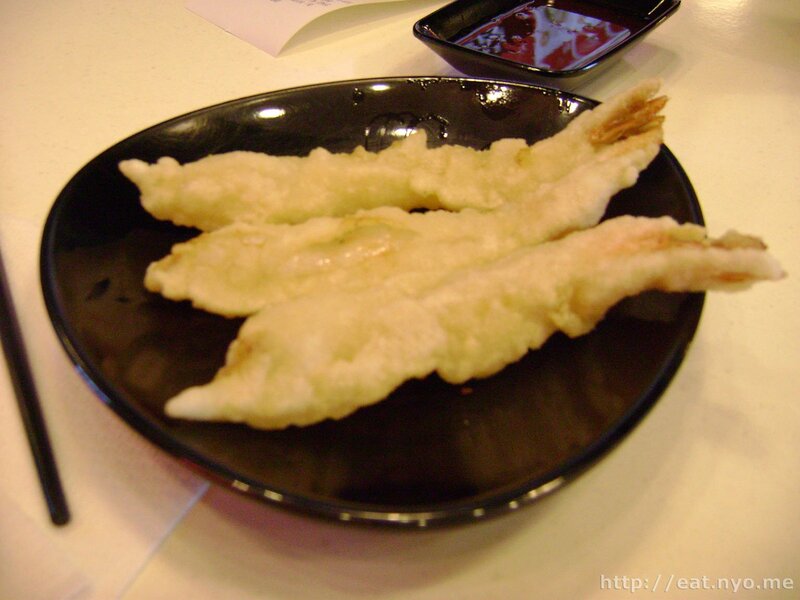 Now the Ebi Tempura… well… it’s… among the shrimpiest tempura I’ve encountered. This is bad for the size but great for its taste. However, if this is the same thing as the one they serve in their donburi, which is essentially an add 10 peso deal for unlimited rice, I highly doubt you’ll get to eat a lot of the unlimited rice. Beloved’s assessment was right. This really is a ramen version of Moshi Moshi. This is by far the best value ramen place I’ve eaten in. And, similar to the donburi of Moshi Moshi, the ramen here ain’t just some cheap instant noodles with fancy toppings—even the noodles and soup tasted pretty good for the price. While certainly not the best tasting and most memorable, Ramen X delivered above expectations. Location: Trinoma, 2nd floor alfresco area. Budget: 100-200 Php per head. Not recommended for: Ramen haters. Smart nomnomnom tip: The bowls are huge.